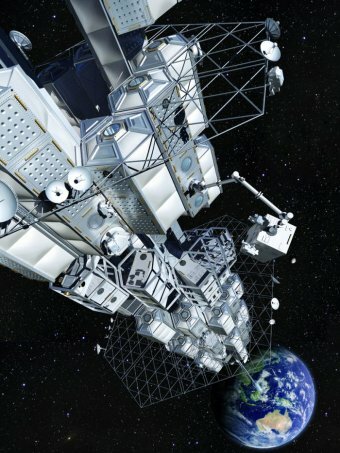 For years, there’s been all sorts of conjecture about creating an elevator to space. Why bother with rockets when space comes to you at the press of a button? It’s relatively cheap, efficient and kind of cool. NASA’s been tinkering with this idea for some time now, even offering a competition to intrepid folks willing to come up with a winning design. In the meantime, a Japanese construction company, Obayashi, plans to have one functioning by 2050. Thanks to the use of carbon nanotechnology, it plans to begin construction somewhere around 2030. Extending 96,000 kilometers in space, it will provide an economical alternative to traditional launch-based technologies (otherwise known as rockets). Considering what rockets cost to build and launch, it’s expected to be quite a savings in both time and resources. It is expected to transport up to 30 people to a space station and will take seven days to reach it. From there, getting to the moon with the sky taxi should be a piece of cake. So when you next hear Frank Sinatra croon, “Fly Me to the Moon,” perhaps you’ll know what he was talking about. Who knew that man was such a predictor of the future of space? Here’s a video thanks to the Australian Broadcasting Corporation that’ll give you an idea of what to expect. Watch for yourself!